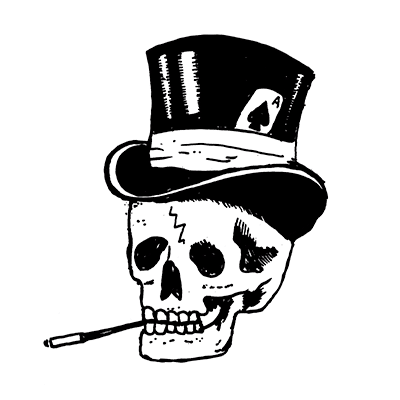 Below is information on how we’d like artwork files to be supplied for screen printing. 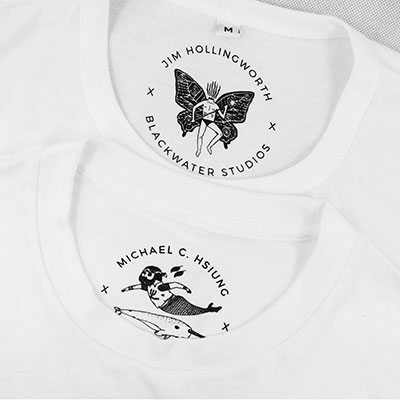 The requirements are more stringent for screen printing than the other services we offer, as the file itself is used as a basis for printing (as opposed to being digitised like embroidery or labels). 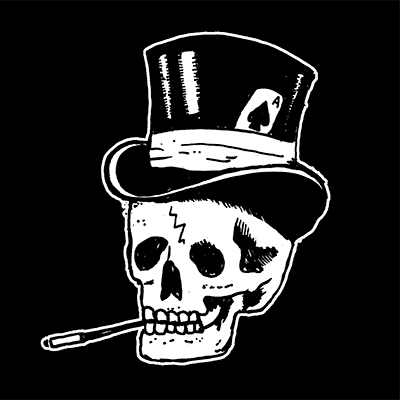 The quality of the artwork you provide, will directly affect the quality of the print on the t shirts you receive. Vector files are perfect for printing. They can be scaled, modified easily and resaved without losing print quality. If a designer has provided your artwork, it is always worth checking if this is available. Please note: Taking raster art and placing it inside a vector file format does not make it a vector. A file made this way would be treated as a raster file instead (see Raster Art). The initial dimensions and resolution are incredibly important with Raster Art. If you’re unsure how big to create your art, always go bigger than you’ll need. Providing low quality raster files will result in a low quality print. We recommend downloading our templates to ensure your artwork is sized correctly. Supplying these types of files is likely to increase your turnaround time and will require you to re-supply the artwork in an alternative format. If the sketch is ‘finished artwork’ as you would like to see it printed, it still needs to be prepared for printing. See Scanned Artwork further down this page. 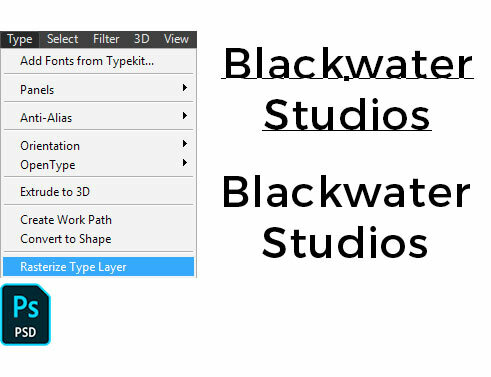 When including text in your art, it’s important to make sure the type elements have been Outlined or Rasterised, for us to be able to open your files successfully. If they haven’t been and we open the file, if we don’t have the font on our system, it’ll be substituted with a standard system font (which will break the art). Files we aren’t able to open properly, won’t be usable. You can see an example of this issue further down this page. Files that are saved out as standard image file types (such as .jpg, .tiff and .png) won’t need fonts rasterizing as they are flattened during the saving process. Below we have information on print areas available for screen printing, and ways to approach the inside neck print, which we recommend. It is best to consider the information below before creating your art, so that you can supply it at the correct size for your needs. This means we can process your artwork faster and generally eliminate the need for revisions that could extend your order turnaround. Our template files are zipped, to reduce their size. To extract them on Windows, Right Click the file and select Extract All. However, generally the limiting factor is the print area of the garment. This is an important factor to consider when ordering large prints and you have smaller garments in your order, as it’ll be limited by the smallest item. 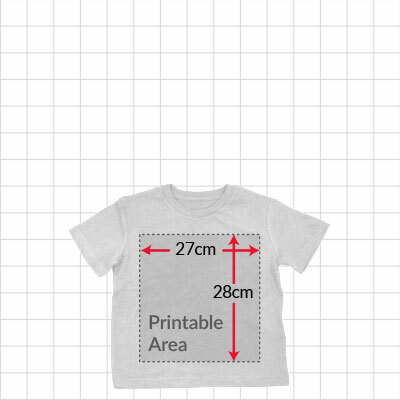 A 34cm wide print for mens t shirts will not fit on a 3-4 kids t shirt – the design simply will not fit, it would be wider than the t shirt. 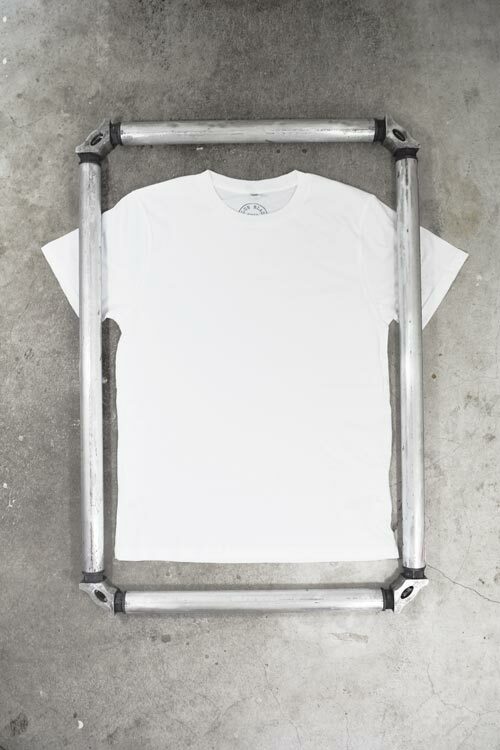 Using our templates (above) will give you an idea of what print sizes will be achievable on certain garment sizes. 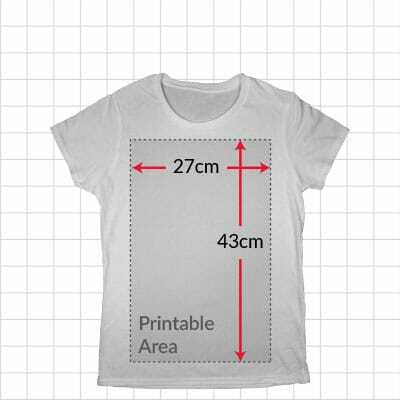 You can also find approximate printable areas by garment size below. 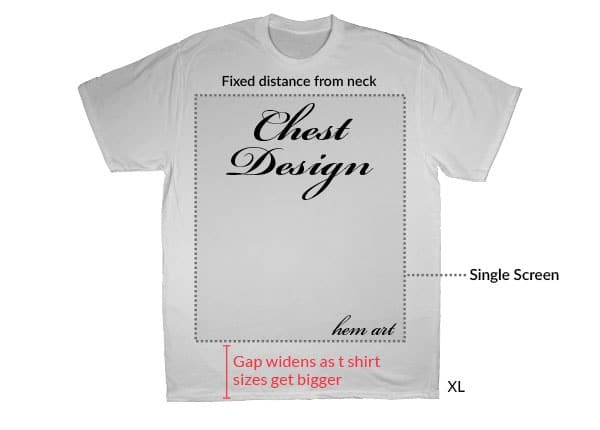 Below are approximate maximum print areas for t shirt chests. No two items will be sewn the same, and this will vary even more from product to product. 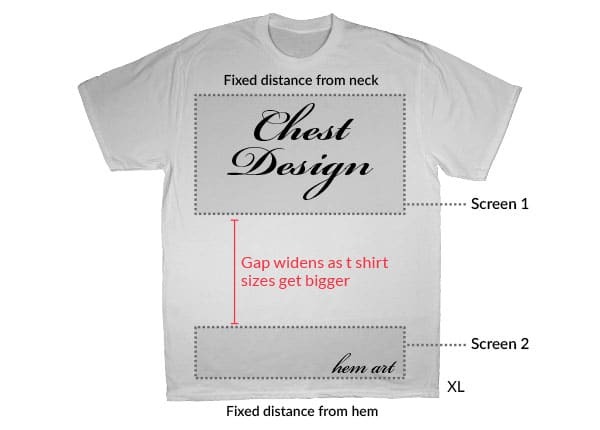 It’s also worth noting that designs that are printed at the maximum width are likely to wrap around the front of the body, and will not be easy to read. 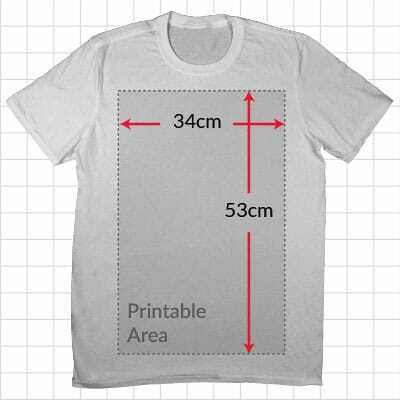 Please remember these dimensions are approximate and should be treated as ‘safe’ zones, to ensure your design does not go too close to any seams that may cause misprints. Unfamiliar products will have to be checked and measured to ensure a suitable print size. Remember, if you are having a mix of adult and childrens sizes, the print area will be limited by the smallest garment. The first thing to decide on when designing your inside neck print is what style you will be using. If you need garment sizes within the design (read about Relocation of Garment Information on our Relabeling & Finishing page), then we offer two options – Combo Inside Neck, or Individual Screens. Of course if the sizing is addressed elsewhere, another option is to have no sizes in the print at all. Save money on screens, by placing all sizes on one design, and identify sizes with an indicator (such as a dot). You should put this under each size when supplying your art to us. 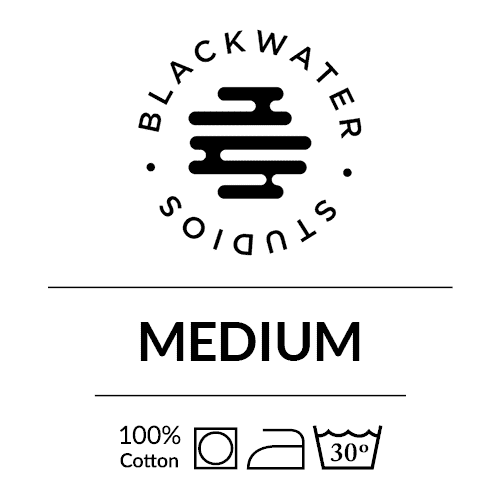 Only the dot below the size being printed will be on the garment. Alternatively you can create a separate design for each size. There is a cost for each screen/size you require, and a minimum order of 10 items per size. This minimum also applies to ink colour changes (e.g., 10 smalls in red, 10 smalls in blue). You may not want any sizes in your neck print at all, and would rather relocate that information elsewhere (such as a custom woven label). This single print can then be printed exactly the same across all items. We do not charge for custom ink colours, however we do ask that you specify colours as Pantones from a Solid Coated Pantone Guide book for colour accuracy. We do not accept TCX colours, nor colours from books outside of Solid Coated or Uncoated. It’s important to only choose Pantones from a physical copy of the book, in order to get an accurate match (what you see as a Pantone swatch on a monitor, is likely to be different to the real thing). If getting hold of a Pantone book isn’t an option, another option is to send us a physical example of colour (such as a previously printed t shirt, or piece of branding material for example). We will use our own Pantone guide to match against what you send, and eliminates the margin of error when choosing from a monitor. If neither providing a Pantone or physical reference is possible, we will have to make a Pantone selection based on the artwork as it appears on our monitors. Although we will try to be as accurate as possible, this can only be approximate. We will only accept responsibility for printing the colour approved on the demo, not choosing of the colour itself. If a demo is approved with our choice we will assume you’ve either checked the colour against a physical guide, or accept our discretion. The Solid Coated Pantone books do vary in price online, and tend to come paired with the Uncoated book (which isn’t really needed). If you shop around, you can often find the Solid Coated book sold individually on Ebay for around £60. Why is my neck print grey? When receiving the art proofs for your order from us, you may find that the ink colour for your inside neck print is put down to be Cool Gray 6 C. We will often recommend this mid grey if you are having a mixture of garment colours, as it will show against most colours without requiring you to pay for an ink colour change. Using the same grey across multiple garment colourways. 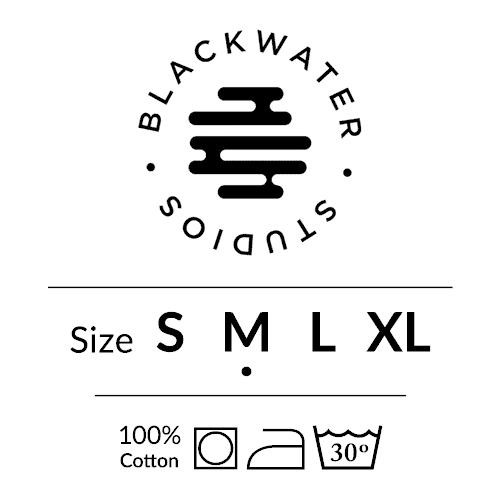 Example of the way labels and dark inks can show through material. 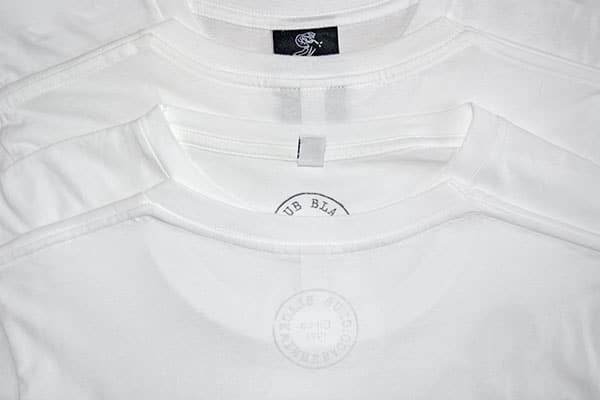 We will also recommend using a grey or a mid tone when printing inside of very light colour t shirts, as printing darker tones or black is likely to ‘show’ through the back of the t shirt when worn. 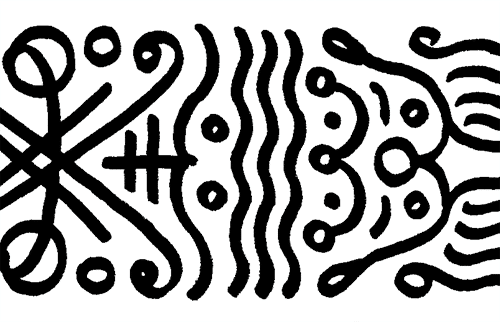 A similar effect can often be observed with woven labels too (whether they are dark or not). This may not be an issue to you, but is worth consideration. 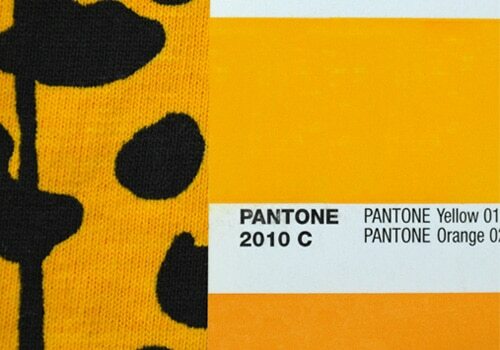 Like the term ‘underbase’, halftone is another which crops up lot in screen printing. We will often suggest halftones as a way to reduce the number of print colours you need, or to explain how full-colour photographs can be achieved with just a handful of colours. It’s a good idea to understand how it works, so it can be considered at the design stage and used as a tool to get more from your printing. Essentially a halftone is a technique that breaks up the tonal detail in an image into dots. These will vary in size and spacing, but generally be small enough that they give the impression of transitioning between different shades of the dots colour. For example, a black halftone could be used to simulate a gradient going from black to white, without needing to use any grey tones. Another example, you’ve probably seen frequently on paper, is CMYK. Full colour photographs, recreated with just four colours – Cyan, Magenta, Yellow and Black. Those colours are overlapped with each and halftoned to simulate an almost infinite number of colours, and generally use a very small dot size. Any tones in your design that don’t have their own ink and screen, will be a halftone. Whether your eye will perceive these dots will depend on their size, and the distance you are viewing them from. Depending on the artwork, sometimes a big, easily visible halftone can be a desirable effect / texture. 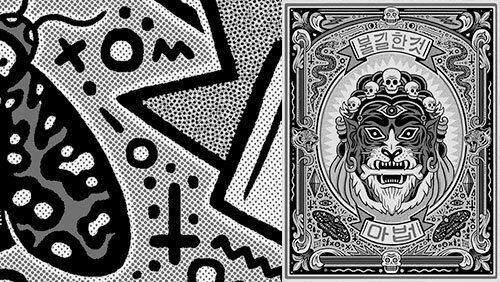 Here you can see what artwork may look like before altering and then after applying a halftone (as a single colour, and also a two colour). The further away from the ‘source’ colour you get, the sparser / further apart the dots become, and it will begin to look patchy. At this point we may advise a mid tone as an additional colour, to ease the transition / counter areas where the halftone may be undesirably ‘dotty’. The alternative can be to actually increase the size of the dot, to get a stronger, more intentional looking halftone – embracing the effect. Should I halftone the artwork myself? If you want to experiment with your own halftones to achieve an intentional visual effect that you want your own control over, it’s important not to make them too fine, and a good idea to do them at 600dpi. However otherwise, you should not try to halftone artwork for us. We will halftone artwork for you as part of the process when preparing it for printing, using settings that will allow us to achieve the best print for you. Trying to separate the artwork for us in these instances will generally overcomplicate the process and may require us to request the artwork in a state before it was halftoned. Below are some common scenarios that crop up when artwork is provided to us, and how to avoid them. Low quality raster files are without a doubt the most common artwork issue we come across (this doesn’t apply to vectors, as they can be scaled non-destructively). A design to be printed 27cm wide and 35cm wide, should look like this in Photoshop. This should be done at the beginning of the artwork creation process – if you try to scale up an existing raster file, the quality will have already been lost. Clean edges and no pixelation. The file has been created at 300dpi and at the dimensions required for printing. The file can be copied and scaled down for smaller print sizes. Blurred edges and pixel artifacts. This means images intended for web use are not likely to be suitable, or that have already been downloaded from sites like Facebook. Also be careful where you upload/download your files from. Sites like Facebook will compress your images, resulting in a loss of quality. It’s best to email the original artwork directly to us, or using a website like WeTransfer (more info at bottom of this page). This will happen if we are supplied with artwork where the text has either not been outlined (vectors / Illustrator) or rasterized (raster art / Photoshop). 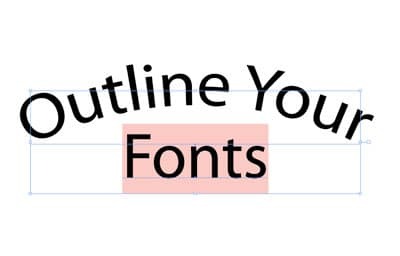 For more information on how to do this, see Fonts & Type above. 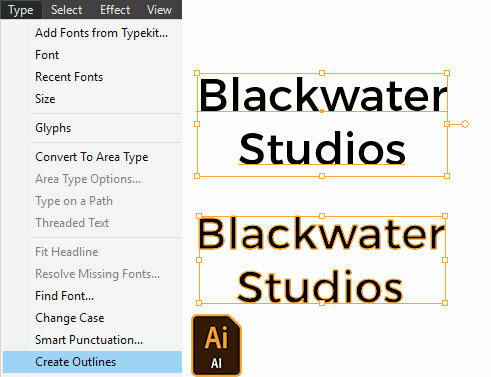 Here you can see an example of the difference it makes when providing an Illustrator file. 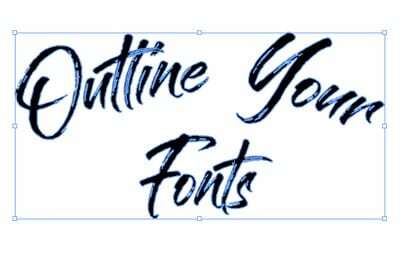 Font was correctly outlined. As we receive it. Same font incorrectly prepared. As we receive it. If you’re looking to print a drawing you’ve created on paper and aren’t intending to modify it digital, it’s still important to make sure the file is correctly prepared. Due to the nature of scanned art, we will assume that everything is to be printed exactly as supplied. We aren’t in a position to know what is intentional/unintentional, so we will also assume this for stray marks, smudges, hand written text, etc. For the reason above, it’s important to ‘touch up’ your scanned artwork before sending it to us. Things to watch for include: stray marks (from pencils, rubber usage), smudges, wonky / blurry text and dirt/dust from scanner. You should make sure that the background / areas that aren’t the design are completely white (#FFFFFF) or transparent. If any slightly off-white background areas are left in the artwork, these could be picked up carried over to the print. When supplying artwork, you may want to have the same design printed both as dark ink on light garments and also light ink on dark garments. While this can work fine with certain designs (most logos or solid colour designs), other designs which include elements that represent lighting or shadows may look strange. This is because when using the same screen, the design is essentially inverted. The ‘lit’ areas become shadows, and the previous shadows become highlights. Similar to shining a torch upwards into your face (see the middle image below). In order to avoid this, an alternate version of the design is needed. 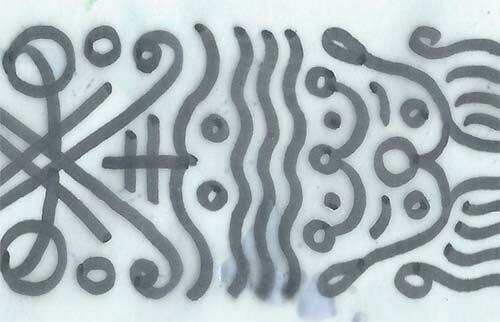 In this version, the ink is printed in areas which were previously negative space / shirt colour. A keyline can also be added to ensure elements aren’t ‘lost’. You can see how the keyline is necessary to ‘contain’ the black hat below*. 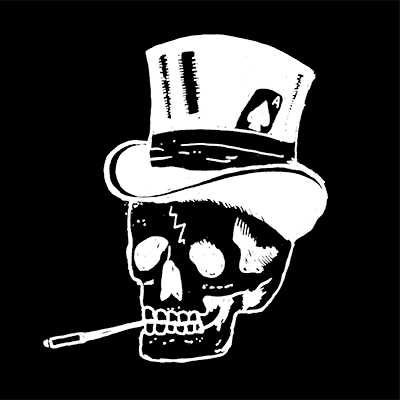 Skull from Tattoo Tee Sample Store design, created by Jimpwasere. The more cost effective option is have everything in the same screen (or set of screens, if the chest is a multi colour design). The chest will be anchored at a set distance from the neck, however the ‘hem art’ will gradually move further away from the hem as the garment size increases. The alternative is to treat the hem design as a separate setup entirely, which is anchored from the bottom hem instead. This increases the cost (due to the additional setup / print run), but allows both design elements to be anchored and always be consistent. Not all software is created equal, nor free. If you’re unfamiliar with where to start, below are some suggestions. 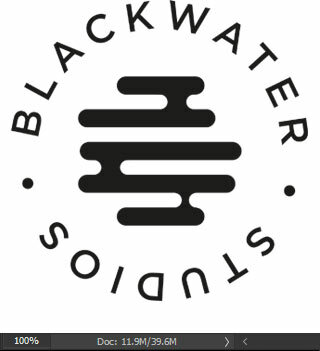 Ultimately we’d recommend working with either the desktop versions of Adobe Illustrator or Adobe Photoshop, as they are widely supported and also what we use at Blackwater Studios. Adobe Photoshop can now be subscribed to for as little as about £10 a month. We can also offer a degree of support with this software, if you need guidance. Below are a few apps we suggest looking at, based on what we know about them. However we do not use these ourselves in-house, therefore we cannot offer much in the way of support. They are also not necessarily free (for example we’ve yet to find ‘capable and fully fuctional’ apps that are free for preparing suitable artwork – however they may exist). Whatever you use, the file we get from you should still follow our file type / format requirements. At the time of writing, the Adobe Illustrator Draw and Photoshop Sketch apps do not support a combined canvas / resolution size that would be big enough for all artworks (limited to 4K x 4K pixels). However, if you have an Adobe Creative Cloud Account and require a smaller canvas than the above mentioned, these may be worth a look first. Otherwise, here are our current suggestions for iOS. Generally seems to be the best reviewed raster artwork app. It allows a large canvas size at 300dpi (tested 34cm x 53cm at 300dpi, which allowed a max of 4 layers). Art can also be exported as a .psd file with layers still intact. Generally seems to be the best reviewed vector artwork app. It allows you to import images for tracing over, to set correct dimensions and export the vector as widely supported vector document types such as .pdf. We prefer art to be ready in advance, however if you require us to arrange logos for you or alter art (such as removing unwanted colours), we can do this for a fee of £30/hour, starting at £15. Please make sure all supplied logos are of a reasonable quality – please get in touch if you are unsure. We do not charge for separating artwork for print, nor do we advise you trying to separate it for us in preparation. This tends to add complications. Saving the artwork as a complete piece (layers are fine and sometimes useful) at the size you require it printed. Supplying a mockup for us to use as a visual guide can be helpful too. As you’ll be sending high resolution files to us for print, unless they’re vector, they may be quite large file sizes that aren’t suitable for email (generally the email attachment limit is around 10MB). If that’s the case, below are some options we recommend for sending files to us. For large files one of the easiest ways to send to us is via WeTransfer. 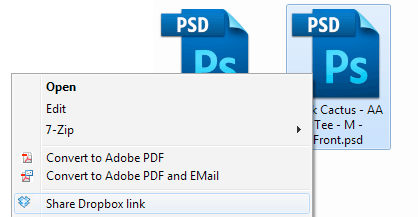 Drag in your files to upload and it will provide you with a link. Once you have copied the link, paste it into our enquiry form or an email. We will click the link to download the file, and after a few days your file will be securely deleted from WeTranfer’s servers. If you prefer to use Dropbox, you can use Right Click > Share Dropbox Link. This also works for folders. Paste the link into your email or enquiry. You can also do this via the Dropbox site by using the Share button. If you do share a whole folder with us, please do not give us editing privileges, as there is potential for us to accidently become a ‘member’ of your folder and until we unlink them, could accidently delete your sole copy of a file without realising. This is always recommended. To zip, select the file or folders you need and then Right Click > Send to > Compressed (zipped) folder. If you’re familiar with Photoshop, you can hide the Groups and Background to get an extra reduction. Bear in mind, we will turn on all layers again on our end, so make sure you delete any layers you don’t want beforehand (else they’ll be resurrected). Zip the file after, for a final reduction. Combining both methods outlined here gives a file size reduction of 65%.